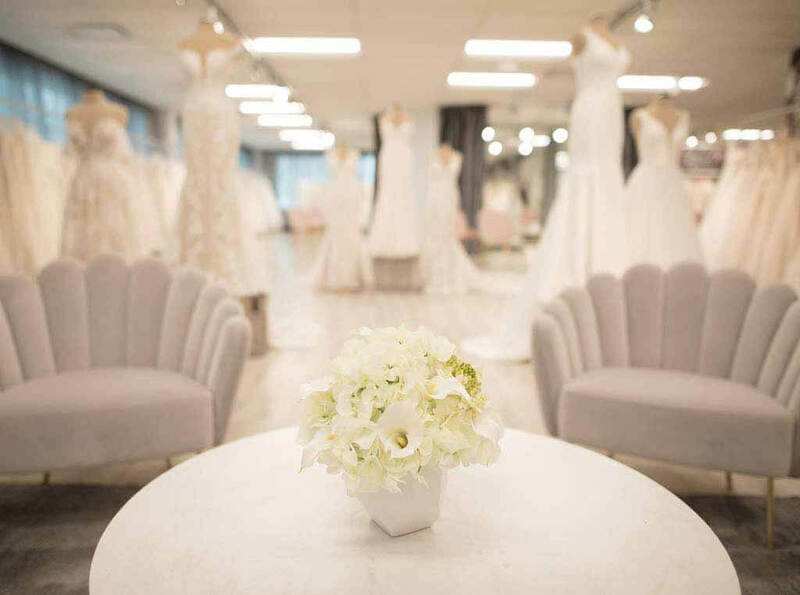 Belle Vogue Bridal opened in 2011, and has quickly risen to become one of Kansas City’s leading bridal boutiques, committed to providing a personal and unforgettable wedding dress shopping experience for every bride who walks through our doors. Featuring a warm, inviting showroom where you can browse our entire inventory, six private fitting rooms with seating for family and friends, and a staff of knowledgeable stylists, our store is an essential shopping destination for Midwest brides-to-be. Belle Vogue is conveniently located off I-35 in the Kansas City suburb of Overland Park. No matter what style of wedding dress you’re searching for, Belle Vogue is sure to have the dress of your dreams! Make your appointment today to begin the journey to finding your perfect wedding dress. A stylist at Belle Vogue since June 2017, Paola is positive, cheerful and patient. She loves spending time with friends and family, and exploring new places to eat (especially Thai food!). Paola loves seeing the sparkle on a bride’s face when she’s found her wedding gown. Her advice is to step outside your comfort zone because you never know what you might find! Fun fact: She’s originally from Chicago! Monica describes herself as compassionate, accountable and dedicated. As a former Industrial Engineer, she finds her career in bridal fulfilling because she loves making people happy. When not helping brides find their dresses at Belle Vogue, you’ll find Monica traveling, researching home design, eating sushi or spending time with her kids. Fun fact: She was born in Lima, Peru! Bethany has worked in the bridal industry since she was 15 years old and loves seeing the trends evolve over time. She describes herself as energetic, outgoing and passionate, and when she’s not at Belle Vogue, you’ll find her singing karaoke, playing pool or going to baseball games. Her advice to brides is don’t let the opinions of others alter your wedding vision. Fun fact: She has a dog named Qtip! Dana describes herself as methodical, vibrant and assertive. She loves working in bridal because she gets to be a part of each bride’s special story. Outside of work, you can find Dana cheering for the Chiefs, Royals and K-State. Her advice to new brides is to keep an open mind; it’s always the dress you didn’t expect! Fun fact: She showed horses for 20+ years! Three words to describe Andy are fun, fresh and quirky. He is Belle Vogue Bridal’s fearless leader and has worked at the store since 2014. He loves Adele and considers himself a foodie, so he’s always trying new restaurants. Andy’s advice for brides is to keep your group small; bring those whose opinions mean the most. Fun fact: He was a dancer for 11 years! Shannon’s favorite part about working at Belle Vogue is hearing each bride’s unique love story — how they met, how they got engaged and how they envision their big day. Shannon is creative, determined and friendly, and she loves discovering hidden local gems in Kansas City. Fun fact: She was named “Most Romantic” in high school (a very fitting title for someone in the bridal industry! ).